The 113-acre Highlands Ridge Park (formerly Bell Labs’ Telcordia Tract) was purchased in July 2004. The property was purchased for $6 million which was paid for with a combination of Township funds, a grant from the Morris County Open Space Trust Fund and a State of New Jersey Green Acres grant. Directly adjacent to the Evans Family Forest Preserve, the two parcels combined provide a total of 223 acres of contiguous parkland. 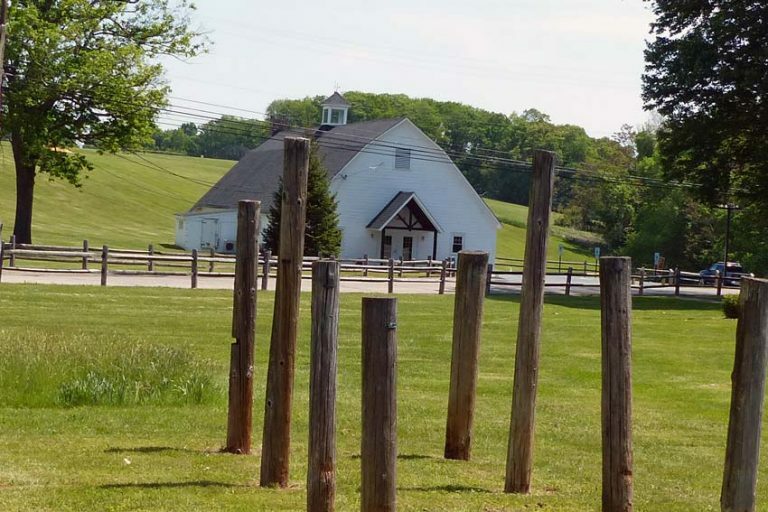 Locally known as the “Telephone Pole Farm“, the park was formerly a long-term test facility for AT&T. The park contains a Community Garden, a portion of the Patriots Path, and several paths and woods roads which invite pleasant walking. At the center of the park is the Chester Community Garden, the entrance to which is off North Road less than ½ mile from the junction with South Road. At the downhill edge is a woods road; a left turn here leads to a junction, in 0.1 mile with the Green Trail that leads in 300 feet to the Evans Family Forest Preserve and its four-miles of trails and Ayres Brook. Continuing on the woods road, the first left on a mown path affords an unhurried 0.4 mile loop walk around the gardens. Continuing straight on the woods road leads to another field and the far edge, uphill, to North Road and to the gate across from Black River Fields. This edge-of-field walk is an unblazed portion of the Patriots' Path, which continues downhill into the Black River Wildlife Management Area. Back at the Community Garden, a right turn on the woods road leads in 0.1 mile to a junction on the right with a woods road leading to a large lawn with a stone firepit and wooden benches, then continues as a paved road that leads past the NJ Highlands Council building to North Road. Continuing straight past this junction, the woods road continues west, uphill and then on a paved road to another field surrounding Seward’s Hill – well worth the climb for an expansive view of the surrounding area – although the Patriots Path passes to the left of the Hill on level ground. On the far side of the hill is a paved road which curves around to the right past the Chester Borough Municipal Building, meeting North Road at the telephone pole section. Continuing past the edge of the park, the paved road on the right leads back to the Community Garden.